Perfect for your next tournament! This assortment includes acrylic 16 oz. 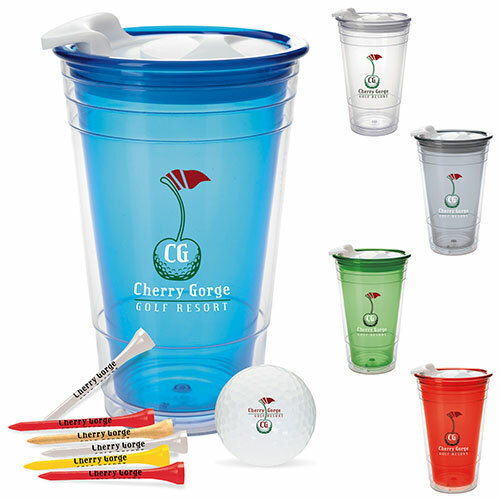 capacity cup and lid with 1 imprinted golf ball and 6 imprinted 2-3/4" tees.